Though Dadasaheb Phalke, actually a rank outsider and a late (if not accidental) entrant to the medium of cinema, eventually won the race of making the first feature film, there were many aspirants, even in Bombay itself. 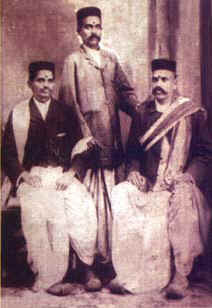 The trio of Anantram Parshuram Karandikar, V.P. Divekar and Shree Nath Patankar who purchased a disheartened Sawe Dada's camera for the throwaway price of Rs. 700 was among them. Patankar was then working as the manager of Coronation cinema at Sandhurst Road in Girgaum while his colleagues, Karandikar and Divekar, were in charge of decorating the theatre at the time of a new release. (Incidentally, Karandikar and Divekar worked as full-time artists at the Laxmi Art Printing Works, now fully owned by Seth Purushottamdas Mavji after the angry departure of Dadasaheb Phalke a year earlier). As such the trio was exposed to a wide variety of films which flowed in from the West as also those made by lndian filmmakers like Sawe Dada and Hiralal Sen. 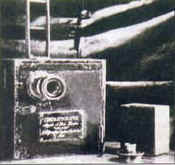 Soon after purchasing the camera from Sawe Dada the trio set about producing a series of 'topicals', as the short films in those days were called. These included the filming of the Imperial Durbarin 1911. It was only in 1912 that they felt confident enough to pursue their main ambition: that of making a feature-length film. Why it took the trio five long years (from their purchase of the camera in 1907 to when they actually set about production in 1912) is a matter of conjecture. One can only assume that the trio was familiarising itself on the technicalities of the medium. In any case, in 1912, the trio joined hands with two other financing partners  Ranade and Bhatkhande  and formed the Patankar Union. The popular story of Savitri from Hindu mythology was selected and a young girl from Ahmedabad, Narmada Mande, was recruited to play the title role. Divekar himself was to play the role of sage Vyasa while a popular stage actor and gymnast, K.G. Gokhale, was selected to play Jayamuni. The film  running to a bare 1000 feet  was filmed in May 1912. Even during its filming Patankar, who was directing the venture, realised that there were a few technical flaws in the film. Later, it also encountered processing problems and the entire film came out blank, thus frustrating their chances. Not only did Patankar miss a tryst with history but the Ahmedabad girl signed to play the lead role, Narmada Mande, missed the chance to become the first woman artiste of Indian films. She did make it in films (in Patankar's Jaimani in 1918) but by then the honour of being the first Indian leading lady had gone to Kamalabai Gokhale (nee Kamat), grandmother of the present-day popular television and film star Vikram Gokhale. Born in the 1880s, not much is known of Patankar's early years. The first that we know of him is as the manager of Coronation cinema, which must have been a prestigious theatre not only because it was in the midst of the respectable middle class Maharashtrian locality of Girgaum but also because it seemed to attract the best of films. (It must be remembered that both Pundalik and Raja Harishchandra were released there!) There is no doubt that Patankar must have been talented (the many innovations that he brought to his later films are an indication of that) and hard-working (the series of companies that he floated to continue making films indicate that) but Dame Luck seems to have eluded him all through his professional career.